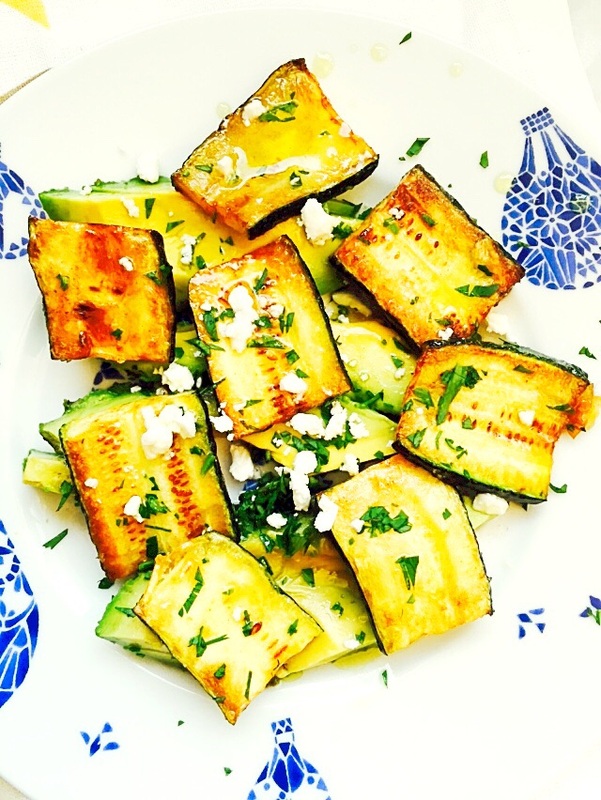 T’is the season–for zucchini that is. It is at almost every stand in my farmers market, piled into beautiful towers at my local Whole Foods, and in glistening plastic packages in my local Trader Joe’s. There is no escaping it–not that I’d want to. Zucchini is one of those vegetables that if you plant it–you will be rewarded with an enormous bounty–so it’s no wonder that it is everywhere right now. So what do you do with an enormous bounty of zucchini? Cook it. Pickle it. Give it away–even in secret as some of my neighbors have, by leaving an anonymous bag full of zucchini on my doorstep. It’s a good thing that I happen to like zucchini. This recipe happens to be something that came about as an accident. I was planning on making my favorite saute of zucchini and mushrooms but my plans and Page’s needs sometimes collide and I had to make an adjustment. In this case, I had some deliciously ripe avocado’s that Page insisted that I serve her for dinner. I had already begun to slice the zucchini so I had to cook it. So I decided why not just combine the two and make a salad of sorts. Boy, am I glad I did. I used a white wine vinaigrette, but this is great with a lemon garlic vinaigrette too! 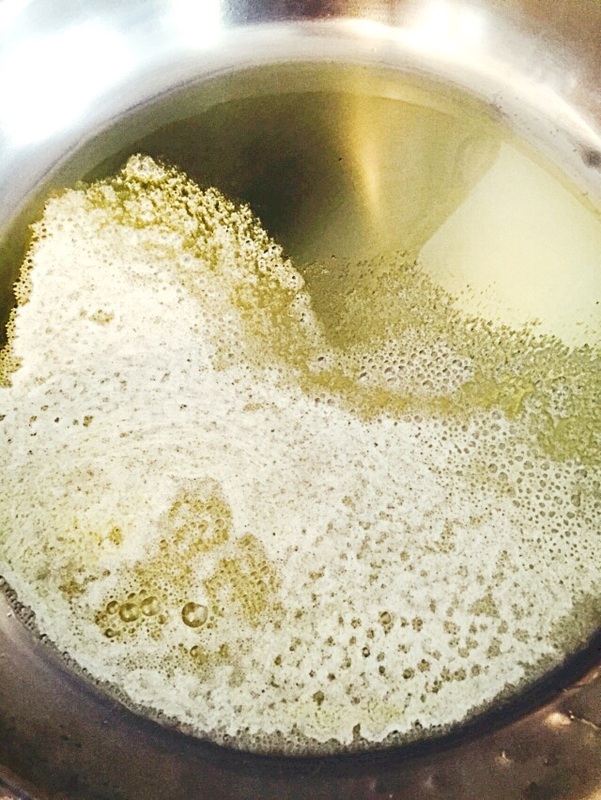 Directions: Mix the ingredients for the vinaigrette in a small bowl and set aside. Heat the oil and butter in a saute pan. 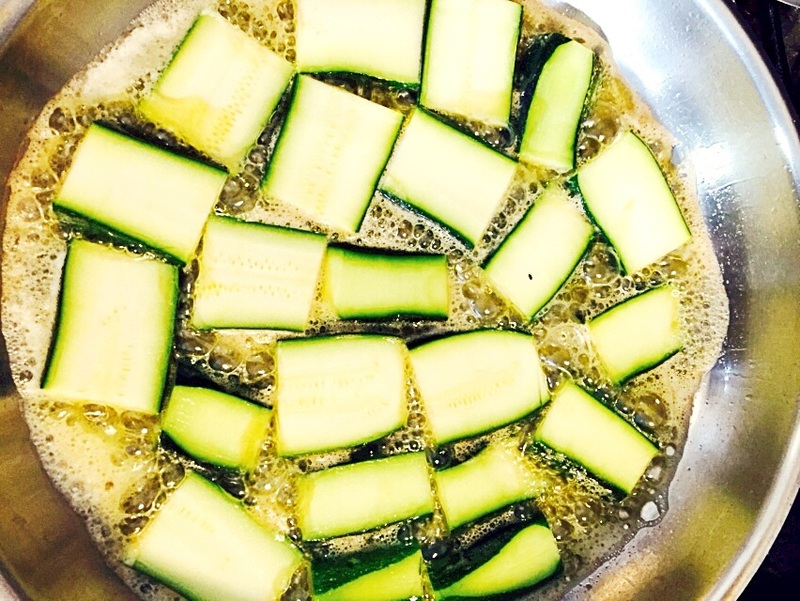 Once hot, add the zucchini slices to the pan and cook until brown–about 2-3 minutes on each side. 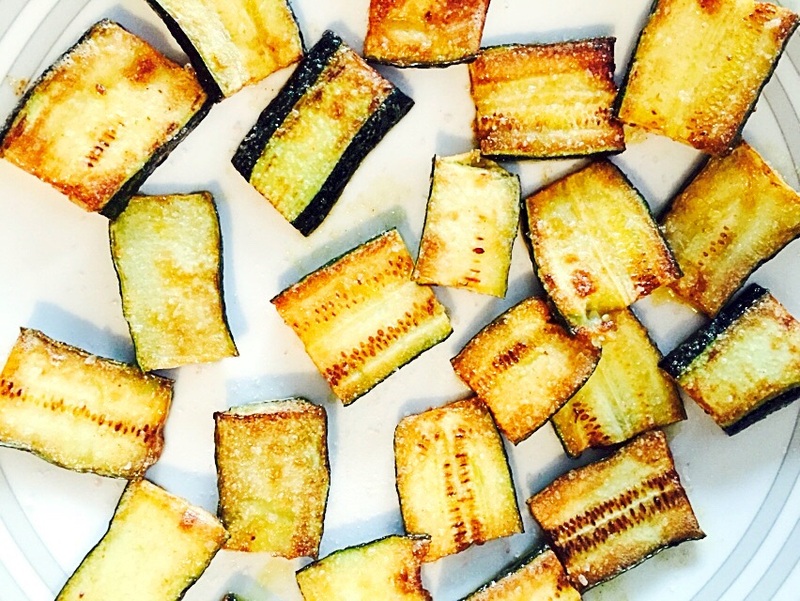 Transfer the zucchini to a plate, season with sea salt and black pepper. Slice the avocado and arrange in a single layer on a plate. 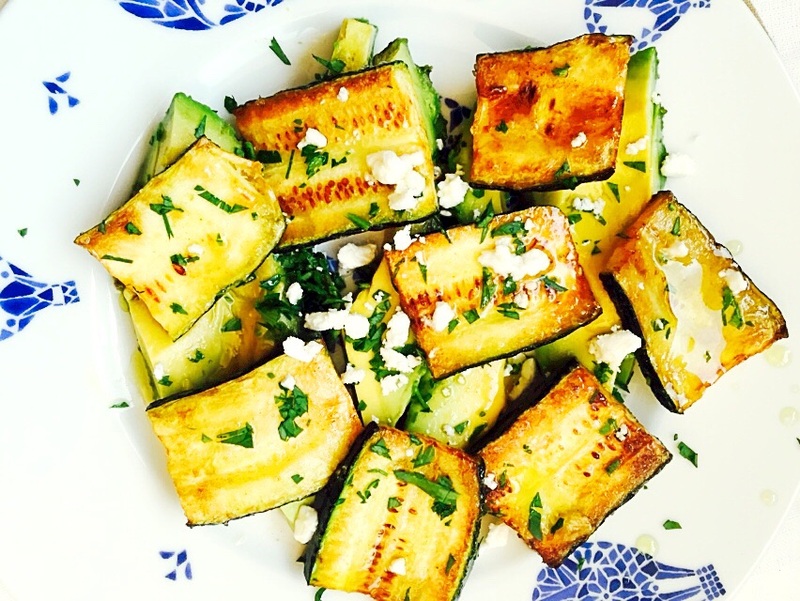 Top the avocado with the grilled zucchini. Sprinkle with feta if using, then sprinkle with parsley. Lastly top with vinaigrette, serve and enjoy! This entry was posted in dinner, Food, Food blog, gluten free, Healthy Whole Food Blog, low calorie, low carb, paleo, quick fix meals, recipes and tagged easy dinner recipes, Easy side dish recipes, Food, gluten free, lazy dinner recipes, low carb, Paleo, recipe, recipes, sauteed zucchini, Vegan, vegetarian, whole 30 recipes, zucchini recipes. Bookmark the permalink. ← Is The Hybrid Fruit You’re Eating GMO?